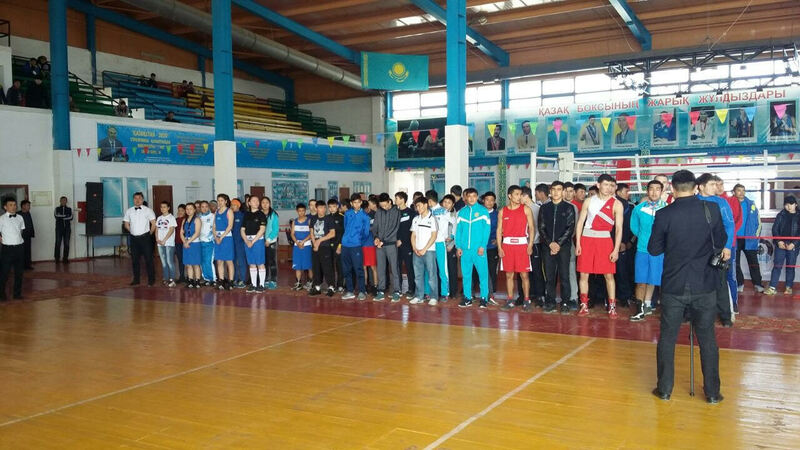 The new edition of the Bekzat Sattarkhanov Youth Memorial Tournament was held in the city of Turkestan, Kazakhstan which is a traditional competition in the first days of April every year. All of the 11 gold medals were achieved by Kazakh boxers in the Bekzat Sattarkhanov Youth Memorial Tournament. Turkestan is one of the most ancient places in Kazakhstan and famous of its boxing events as well. The city of Turkestan is part of the UNESCO World Heritage and located in the South part of the country near to the boarder of Uzbekistan. The competition is dedicated to Mr. Bekzat Sattarkhanov who was gold medallist in the Sydney 2000 Olympic Games but died in a car crash a few months later of his glory before his 20th birthday. The Bekzat Sattarkhanov Youth Memorial Tournament was a preparation event for the upcoming ASBC Asian Confederation Youth Boxing Championships which will be held in Ulaanbaatar, Mongolia on November. Boxers who were born in 2001 or in 2002 were eligible to compete in the prestigious Bekzat Sattarkhanov Youth Memorial Tournament. The first gold medal of the competition was taken by a pinweight (46kg) boxer Mangystau region’s Zharas Komshabayev who won his final against Akzhol Gulmurat unanimously. The light flyweight (49kg) is traditionally strong in Kazakhstan’s youth boxing and their new winner in this category was Almaty Region’s Daryn Kulzhabayev who defeated Uzbekistan’s Dilshod Abduvaliyev and Alizhan Kadyrkhanov in the final stages. Taraz is one of the neighbouring cities of Turkestan and their new youth pride Murataliev Youth Tournament winner Almaz Duisenkul was too strong for Nurbakyt Saidyn in the final of the flyweight (52kg) which was stopped the referee in the second round. Askhat Tastanbek had a tough final opponent Junior National Champion Yerasyl Tankay in the final of the bantamweight (56kg) but he was able to manage his win in Turkestan. Shymkent’s Aydos Zhapparbergen had a tough tactical job in the final of the lightweight (60kg) against Uzbekistan’s Ikromjon Jurayev. The final verdict was split decision in the favour of Zhapparbergen and won his first big title during his career. Yermakhan Otemis was not the favourite against Almaty region’s Meirzhan Aidar but surprisingly he won the title of the light welterweight (64kg). Almaty region’s two boxers advanced to the final of the welterweight (69kg) which was won by Madi Altynbayev in Turkestan. Marat Kasayev was unable to get a medal in the 2018 Nikiforov & Denisov U17 Cup but he was slightly better than Tajikistan’s youth No.1 Alimzhanov Youth Memorial Tournament winner Ramoil Kurbonov in the final of the middleweight (75kg). Bagdaulet Kural is a local hope who could beat all of his rivals at the light heavyweight (81kg) in Turkestan including Uzbekistan’s Abdulla Rajabov and Almaty’s Bekzat Beysenbayev in the final. Bekzat Tanatar was titleholder in the Bekzat Sattarkhanov Youth Memorial Tournament but the heavyweight (91kg) boxer lost to Shymkent’s Bagdaulet Abdullayev in the final. Shymkent’s another title was taken by Ozodbek Irismetov at the super heavyweight (+91kg) who controlled his final against Nurzhigit Aytmyrza. Don’t forget you can keep up with all of the action, news, results and photos by following ASBC on Facebook and Instagram.